Daniel McCracken, who died Saturday. 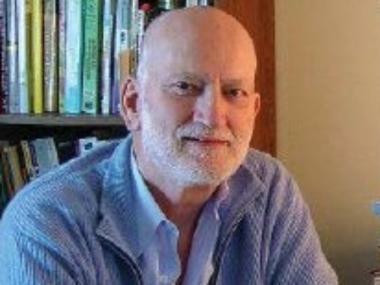 WASHINGTON HEIGHTS — Computer science expert, City College professor and Washington Heights resident Daniel McCracken died Saturday of cancer, his wife, Helen Blumenthal, said in a statement Monday. He was 81. In 1957, McCracken wrote the first computer science text, "Digital Computer Programming." His 25 books — including "To Love or To Perish: The Technological Crisis and the Churches," which he edited with anthropologist Margaret Mead — sold more than 1.6 million copies and were translated into 15 languages, according to Blumenthal. "I came into the workforce as computers were emerging," McCracken once said, according to the statement. "I knew in college that this was what I wanted to do. I hate being bored. This field changes at a blinding rate, so I am continually doing something new." McCracken built careers in both computers and theology, earning a masters degree in divinity in 1970 from Union Theological Seminary on the Upper West Side. He began work as a visiting professor in City College's computer sciences department in 1981 and taught there until his death. He had planned to continue teaching in the fall, Blumenthal wrote. "Professor McCracken has a natural instinct and almost a compulsion to disseminate his knowledge, his curiosity and his enthusiasm," a member of the class of 2002 wrote about McCracken in an evaluation. "He has been an inspiration and a guide to his students." McCracken's papers from 1958 through 1983 are on file at the University of Minnesota. McCracken is survived by his wife of 31 years, seven children, a stepson and many grandchildren and great-grandchildren. His funeral will be at 10 a.m., Tuesday, Aug. 2 at Plaza Memorial Chapel, at 630 Amsterdam Ave.
City College is accepting memorial donations to the Daniel McCracken Memorial Fund.